I’ve been wondering if “365 outfits” was a little over ambitious, it’s now been over 2 months and I’m on outfit 15- Could be years before outfit 365.. With the demands of motherhood there isn’t really the time to play dress up! Nevertheless I shall carry on and hope one day to reach the magic number. Today was all about playsuits. – A must have holiday item, easy to throw on and perfect for hiding a full stomach! 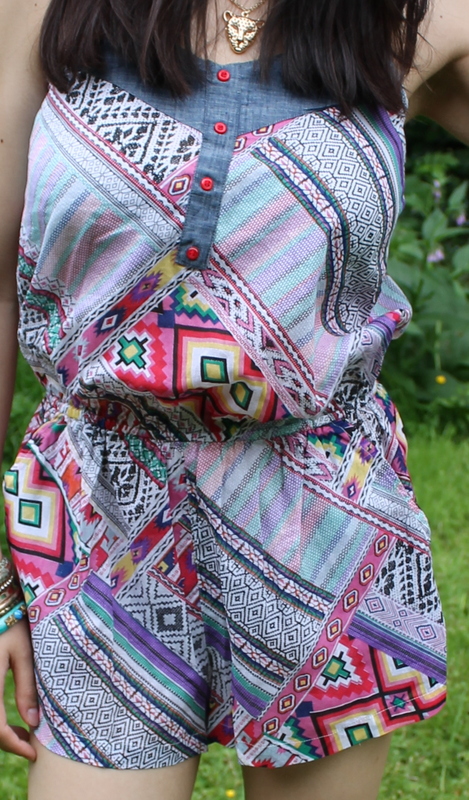 Outfit 16- I love the Aztec print! Both playsuits from Primark, shoes from Zara. Posted in OUTFITS and tagged blog, FASHION, lifestyle, mummy, OUTFITS, personal, shopping, STYLE, Summer, women. Bookmark the permalink.